Sichuan:Luding Xian:Moxi. Gongga Shan, east side; downstream from Hailuo Guo Glacier; on N side of Bing He (Bing River; upstream portion of Moxi River) between Camp Number 1 and Camp Number 2. 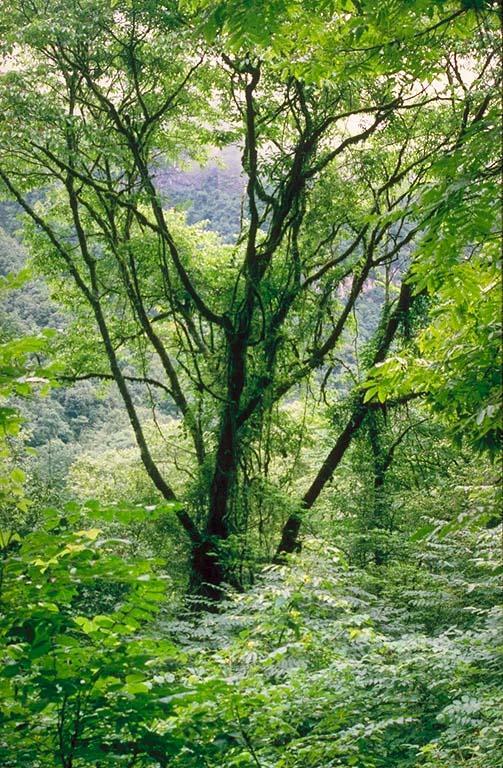 Mixed broadleaved deciduous forest with several species of Acer, Tetracentron, Betula, Tilia, Cercidiphyllum, Quercus. 29°35'37"N, 102°3'35"E; 2300-2600 m.